Prohid.lv online shop offers LED door LOGO. Decorate your car and make it more noticeable in the eyes of others. 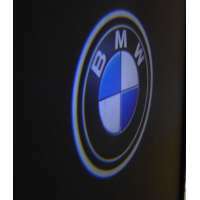 Bright LED LOGO's most popular car brands: VW, Audi, Bmw, Mazda, Subaru, Toyota, etc. LED LOGO available at Prohid.lv Internet store is universal and can be put into any car. Of course, the original LED door LOGO, which simply replaces the original car door lighting, is also available to our online store.